Life isn’t always as beautiful as we expect it to be. Born and brought up in South Asia, the relationship between parents and children is quite depressing. Family values include the invasion of a person’s personal space, mostly children’s personal space by parents; especially if you are a girl old enough to marry and had not found the right partner yet. Parents usually take it to their own hands to find a partner for their young sons and daughters, though more pressure was put on daughters (sexist?). How could the world judge that? How could parents decide who their sons and daughters should marry? Don’t the children have their own free will to choose the right partner? Sometimes I wondered why certain things happen. Why was the society so fussed about what people did with their own personal lives? If a teenage girl has a boyfriend she is judged for being too forward. If a young girl is still single after the age of twenty five, she is judged as too old to be married; if you’re over thirty it means no one will marry you. If a girl falls in love with a boy from a different religion, race or cast, she is judged as to have a poor choice in marriage and their families would not hesitate to reject them. Some parents would do anything to stop their daughter marrying a man who does not match their family. I do not understand why it was so important when the daughter is the only one who was going to live with him. Beyond all of that there were proposals. Parents suddenly turning into match making geniuses simply to get their over aged unmarried sons and daughters settled down. Sometimes I found it funny how parents expected their daughters to dress up like Barbie dolls just to impress a man they have never met in their entire life before; and hope this man was ‘the one’? I mean, Really? I don’t know how many of you are going through similar situations right now. Mainly girls. Sometimes girls are scared to go against their parents’ word. They are proposed to marry a man they do not love or even like; but just because it’s their parents’ wish they agree. Parents always want to see their children married before they die. They want to play with their grand-kids before their time on this world has passed. But what they don’t realise is they are sacrificing their daughter’s happiness just to keep up with what they think her happiness is, and to get what they want. They do not want to admit that their daughter can find a person on her own provided the freedom away from them. Sometimes girls say they do not want to marry, just to keep their parents away from looking for possible candidates to take her hand. I believe that marriage is not a game. No one needs to settle for someone just because they have no one. I believe that all girls deserve the best, and parents settling for a partner out of a newspaper (most common method among many), is not going to help her. It is only going to trap her with a man she does not want, and a future she would not like. This would either destroy her, or end her up in divorce. God gave all of us free will to make our own choices, not for our parents to make them for us. So all you young boys and girls out there go find your own soul mates taking your own time! Please do not hurt your children trying to match make them with someone they have never met. In-fact do not try to match make them at all, even with someone you know. If you have brought up your children right, they should have the ability of finding a partner on their own and not though any other means. Religion, race or cast do not matter when it comes to finding the right one. The society has gone from bad to worse and you cannot trust anyone, especially a person you just met. Do not invade you child’s personal space. 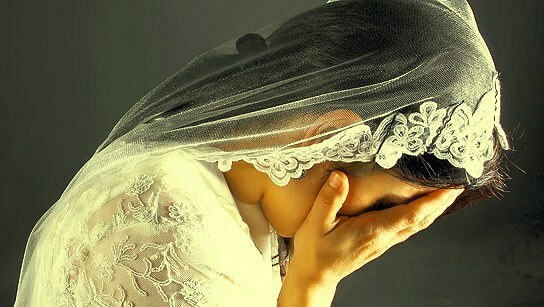 Your child deciding to marry or not, should be nothing but their own choice. It is between them and God! Yes you are their God given parents, but you have absolutely no right to interfere with your children’s God given free will. Do not lose the love and respect your child has for you by making them marry the person you want! Let your children be free!